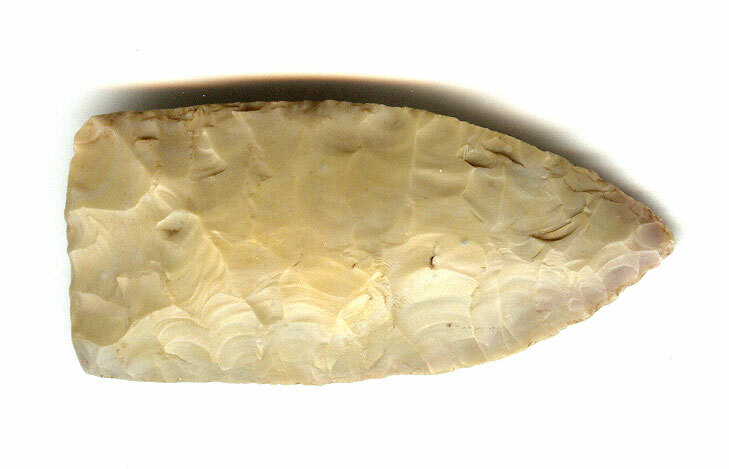 A Medium Size, Very Well Made, Firstview Point That Exhibits Stone Sheen & Surface Aging Coloration Patination, Correct Rolled Basal Edge Dulling, Aged Mineral Deposits, Correct Early Style Flaking, Correct Type Basal Thinning, Correct Blade Sharpening Reduction, Correct Material And Manufacture For The Area Found. Ex-Keith Glascock, Brian Wrage And Lonnie Hartline( # 1318 ) Collections. The Type Is A Variant Form Of The Scottsbluff And Is Made By The Cody Complex People! Includes Roy Motley ( 10-08-05 ) And Ken Partain Certificates Of Authenticity!